Despite a decade of success in the late 2000s, it’s been a long and complicated road for the eleventh most successful club in Italian football. Years of European and domestic success have been marred by financial difficulties and a plethora of ownership troubles. Entering into the 2018/19 season they are finally back where they believe they belong, in the Italian premier division, Serie A. It seems inconceivable that a team who have boasted some of the games greatest players could endure such problems. Below is just a sample XI of the players who have worn the famous colours, Gialloblù (the Yellow and Blues). 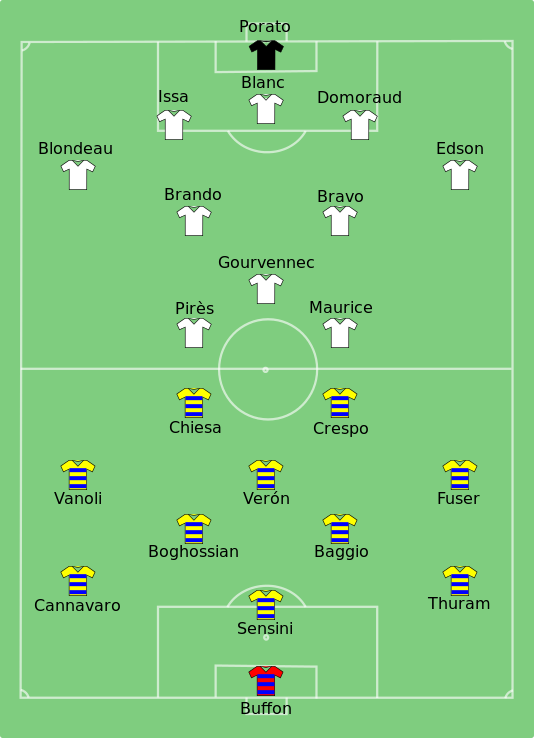 The starting XI used by Parma in the 1999 UEFA Cup Final, a 3-0 win over Marseille at the Luzhniki Stadium in Moscow. Their most recent hero, however, does not boast the same glittering career as many of these stars. Instead, Alessandro Lucarelli provided something greater for the club, the former Parma captain was one of the key reasons the club endured. 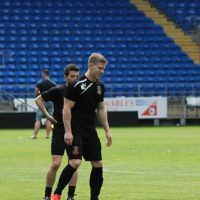 The club captain between 2014 and 2018 was personally responsible for a number of off pitch duties including paying for medical supplies, various club bills and ensuring players had access to clean water. This was all alongside being the leader and chief motivator for the team, a more traditional role for a club captain. 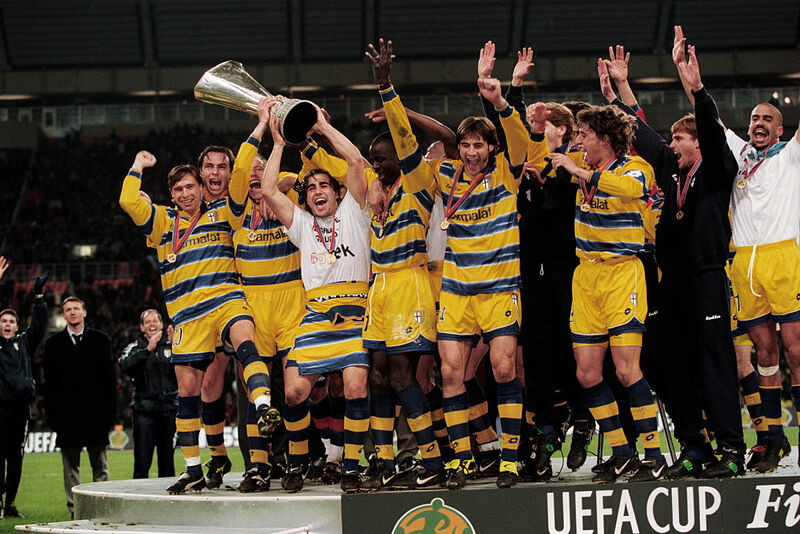 During the years between 1992 and 2002 Parma was known for challenging Italian football’s elite, during this ten-year stretch they won eight trophies in both domestic and European football. Originally founded in July 1913 as Verdi Football Club, the team based in Parma has endured a number of rebirths over is years due to a series of financial issues. Associazione Sportiva Parma, Parma FC SpA and SSD Parma Calico 1913 are just some of the names the club has adopted during the years. During the golden age of 1992 – 2002 Parma received significant investments from their parent company Parmalat (Italian multinational dairy and food corporation) which saw remarkable achievements on the pitch. Formed in 1961 Parmalat achieved major success by becoming the leading global company in the production of long-life milk. The company experienced a financial meltdown and collapsed in 2003 with a reported €14bn billion (£13bn) hole in its accounts. This event remains Europe’s biggest bankruptcy. Part of Parmalat issues are believed to have stemmed from its owner and founder, Calisto Tanzi and Italian businessman who is now notorious for his embezzlement of an estimated €800 million from Parmalat. The Parmalat scandal which brought the collapse of the company, brought significant financial troubles to the football club and resulted in the club operating in controlled administration until January 2007. Reports suggest that at various points the club debts exceeded €215 million (approximately £180m) a large proportion of which was unpaid wages. Following the initial financial troubles in June 2004 the club re-formed as Parma Football Club SpA, despite this new beginning the club plummeted to its lowest finish in Serie A (17th), despite 23 league goals from another famous name, Alberto Gilardino for the second consecutive season. A succession of managerial changes, which included Claudio Ranieri for a brief spell, led to the club bouncing between the top two divisions. In 2014 the club achieved a sixth-place finish in Seria A but a return to Europe was barred due to the late payment of income tax on salaries. This led to the club failing to qualify for a UEFA licence and would also see the club receive points docking for the 2014-15 season. Financial issues ensued a succession of changes in ownership and the club was officially declared bankrupt in 2015 and was allowed to finish the 2014/15 season in Serie A in which they finished bottom. July 2015 the club was re-founded in Serie D but has since secured a record three straight promotions to return to Serie A in 2018. One of the key reasons for Parma continued fight for survival has been the support of their fans whose loyalty has remained unwavering despite the clubs turmoil. It has been reported that more season tickets were sold for their first season in Serie D following the re-founding than in the club’s final season in the top flight. The 2018/19 season in Serie A has begun on a positive note for Parma, with a number of experienced signings including Gervinho (formerly of Arsenal and AS Roma) and, at the time of writing this article, they sit 11th in the table including victories over Inter Milan and Torino. There is hope that following this latest rebirth, one of Italy’s most prestigious clubs can remain trouble free for the foreseeable future. Great Reputations: Grande Inter – a harsh legacy? Great Reputations: Torino 1940s – just how good were they?